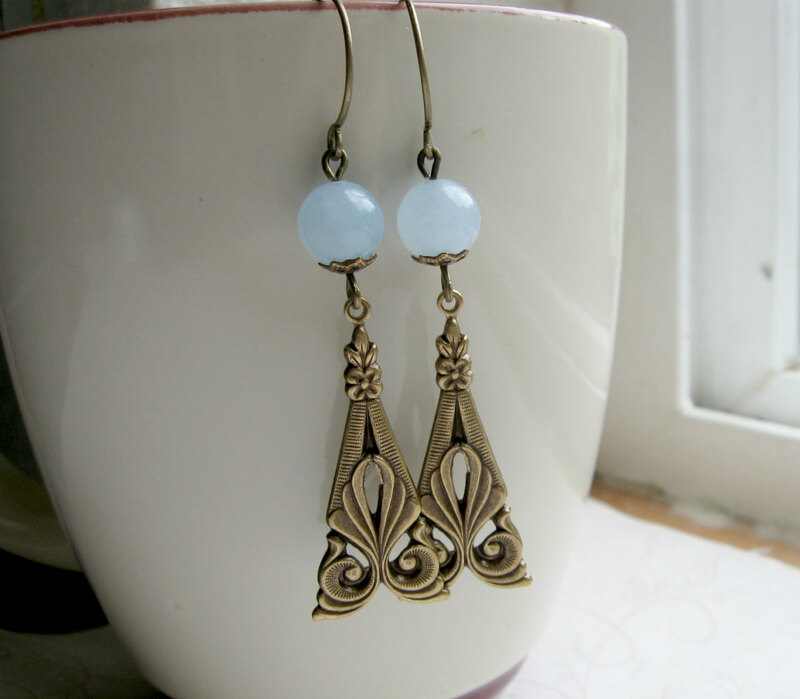 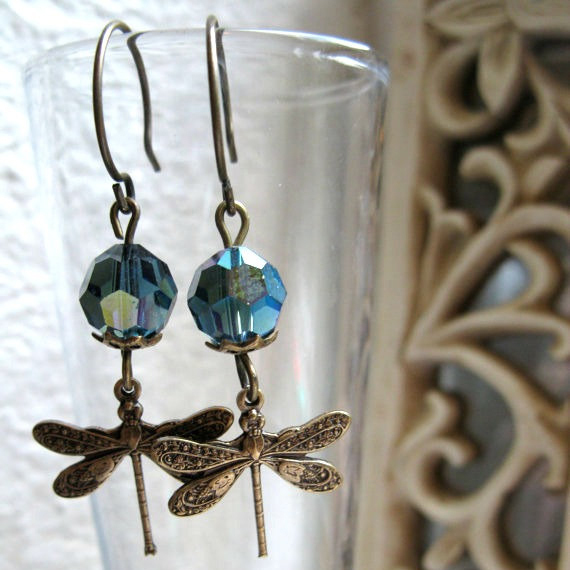 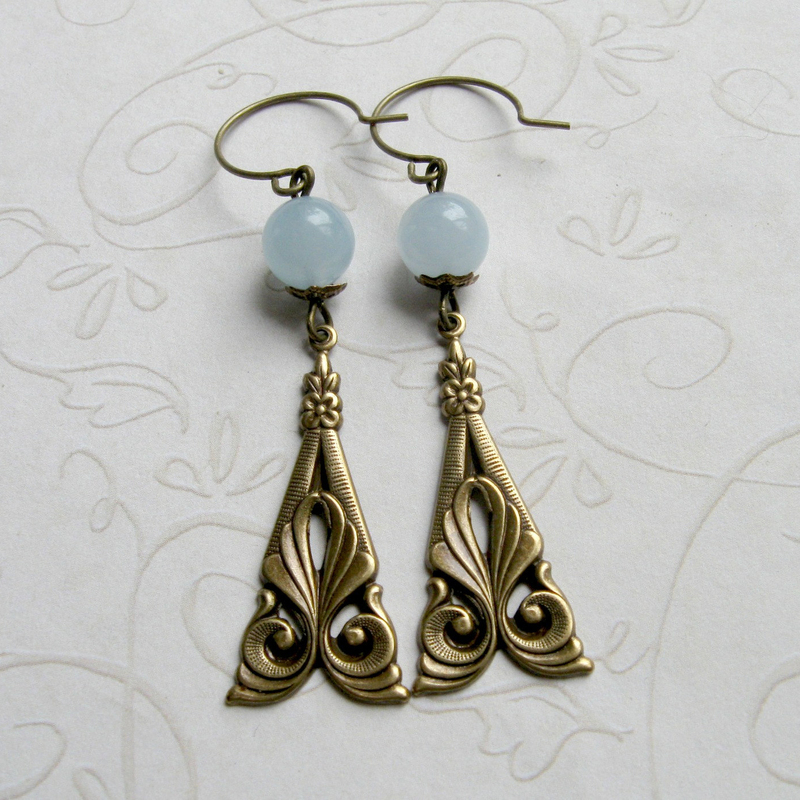 Here is a pretty pair of long art deco style earrings, comprised of lovely pale blue jade beads along with genuine brass drops, which dangle from the bottom of each bead, earrings are very light weight and come on brass ear wires. 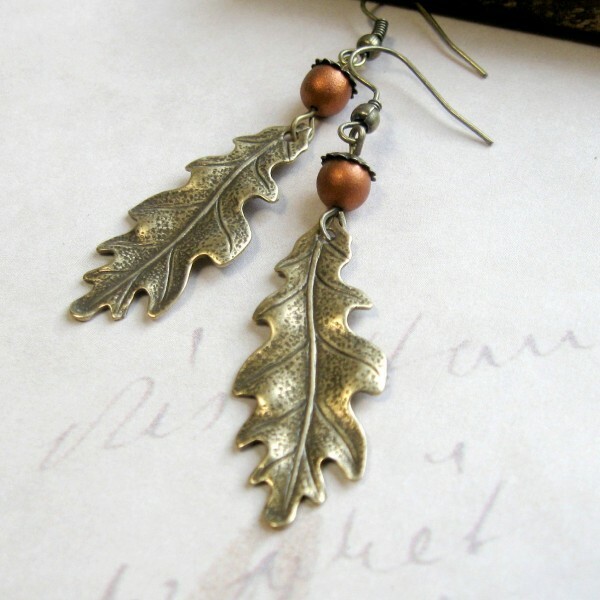 All materials are nickel and lead safe. 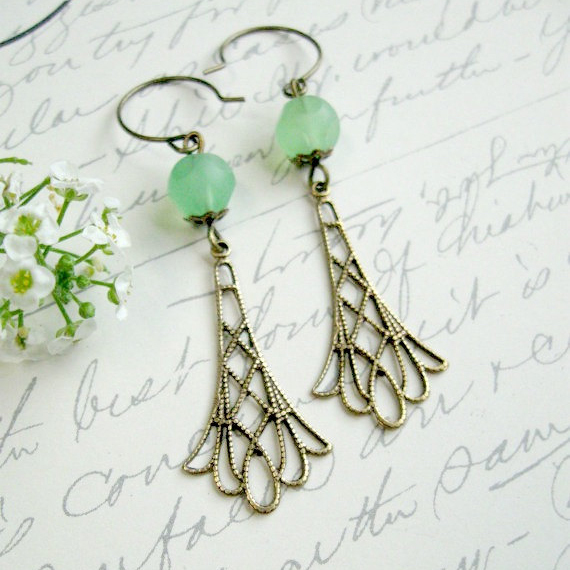 Perfectly lovely, these beauties come shipped in a Botanical Bird gift box!